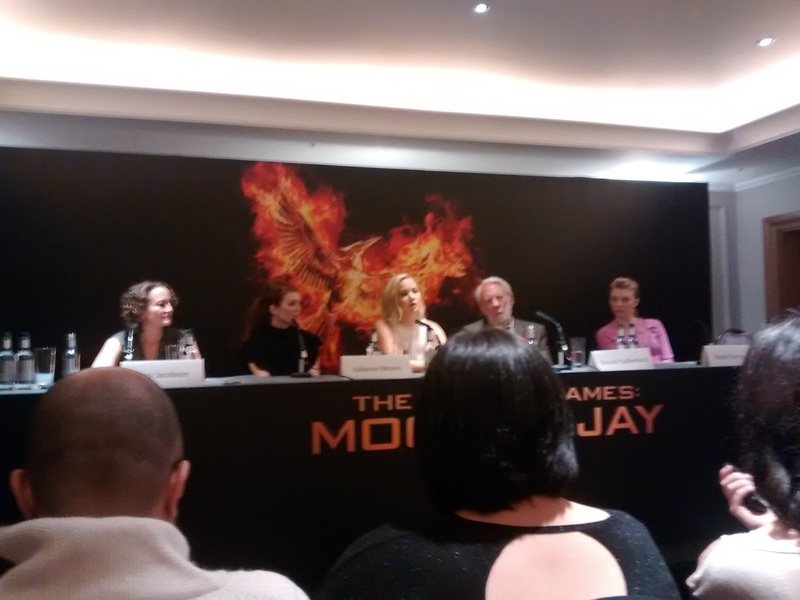 We had the immense privilege of attending the press conference for Mockingjay - Part 2 in London last Friday morning, getting the chance to listen in on some exclusive chats with the cast! The cast were split into two groups for the conference, the first featuring Jennifer Lawrence, Julianne Moore, Natalie Dormer, Donald Sutherland, and producer Nina Jacobson. 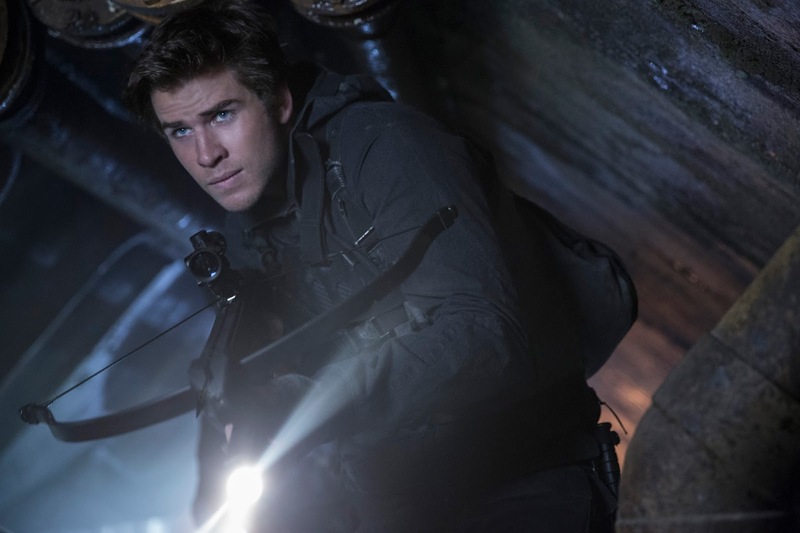 The second group featured Josh Hutcherson, Liam Hemsworth, Sam Claflin, Woody Harrelson, Stanley Tucci, and director Francis Lawrence. There were actually two press conference areas, with the cast groups swapping over halfway through. We were placed into the smaller more intimate area upstairs, which wasn't officially recorded. This project is extraordinary. The books that she wrote are amazing; the realisation of those books by Francis, originally Gary... why did I even say that I should've just said by Francis! It's nice when you have a really important message along with a very entertaining film, and great friends. 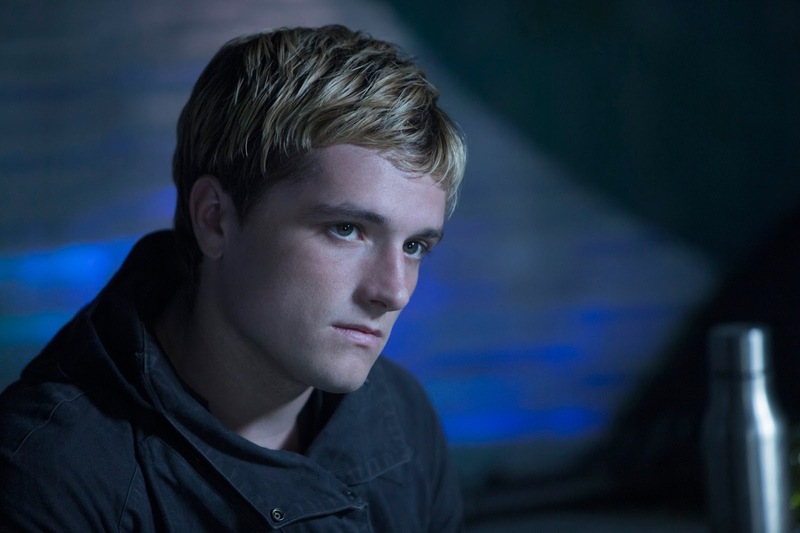 A great performance Josh as Peeta, Peeta in a very fragile state. Can you tell us a bit about preparing for that and going to those dark places? Because like I said, it's very impressive. Thank you. When I first read the books, that was a part of the story that I really connected with. Not that I've personally been tortured or brainwashed. Well I've been moderately brainwashed, like us all, to some extent. It was something that I've never really done before, I've never been strapped down (well, ok maybe...). It was really just a trying experience. 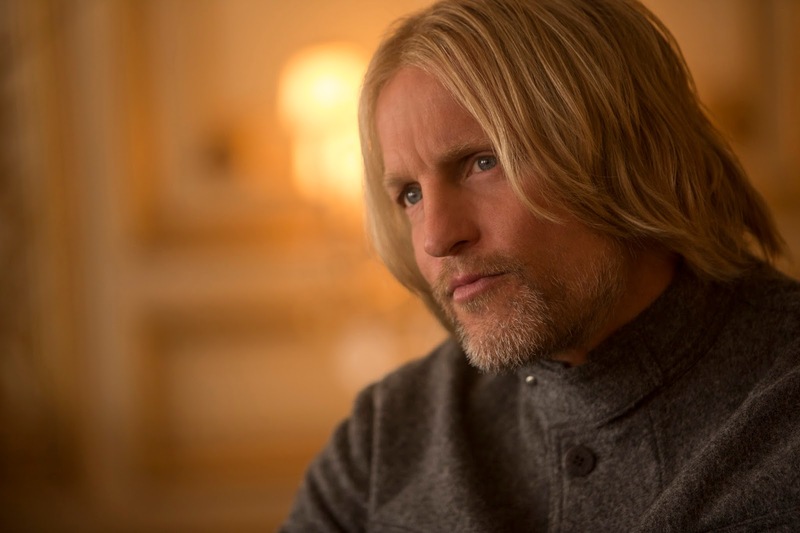 One of the important things for me was trying to understand what actually happened to him in the Capitol, and trying to get into that mindset like you do with any character. It just so happens that his at this point was really dark. I think that everyone has some kind of wild streak or darkness inside of them, and so any chance you to get to play a character and put that out, it's fun. I think that having Francis leading me through that was really great. We had a very comfortable set and I think a lot of that comes from Jen, and the way that she sort of makes everyone feel at ease on set and feel free to be themselves and non-judgmental. As an actor that's the greatest thing you can ask for on set, to not feel judged and to feel freedom to sort of go for it. That's what I did, I just sort of went for it and hopefully that stuck. I have to applaud Francis and the whole team for making that environment for me comfortable enough to really go for it. 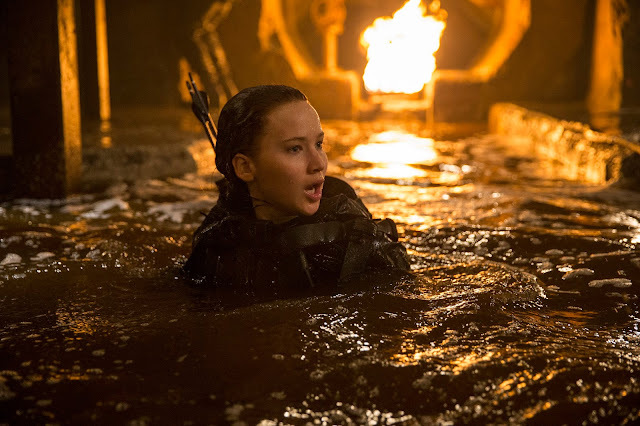 One of the things that Jennifer told us in the last press conference, I think, was that even she, as bubbly as she is normally, felt like she was broken by the sewer scenes. The wading through the water in the tunnels. Tell us a bit about filming those and just how tough it was. It was a very difficult three weeks. I think just being completely soaked for three weeks, and being in clothes, is really really tough to push through. I think the thing that helped us was that we had each other, but this was probably the least amount of talking that we did for the whole shoot. It was kind of we were all just so saddened by this situation. It was right at the end of the Atlanta part of the shoot - the reward at the end of this was coming to Europe and it being summertime, but yeah it was hard. I got bruised and banged up; I had to do a lot of fighting off of the mutts. It was strenuous. My head was all bent over because I was the tallest one. We did one of the most dangerous shots I think I've ever done. We had a tracking camera running at us at full speed, going in knee deep water, and we had the line of our Squad 451 running at the camera. If you did fall over in front of the camera during this shot, you would've had your arm taken off, or knocked out, or killed maybe. It was like a small train coming at you. Very dangerous shot. It was truly very very difficult. I think we all went to very dark places, we were all kind of shaking and hugging each other - mentally, because physically no-one wanted to be near one another. It was a crazy crazy, hectic hectic three weeks. For me, it was all topped off by probably the hardest day of filming I've ever done in my entire life. I think we all went to the extreme - went to a place we've never been before, challenged ourselves physically and mentally. Equally, I have to say hats off to the filmmakers who were going through the mill with us, because it was tough for everybody. It's so often that we kind of forget all the people who really make this happen, the guys who actually built the sewers, poor guys. It was well worth it though, the sequence looks amazing. Glad it wasn't for nothing. I'm with them, it was a tough time. As a director, I'm in the tunnels as well. The tunnels were claustrophobic, they were dark. Everybody had to be hunched over, everybody's hitting their heads. It was a maze. The water had been heated so it was humid, there was fire, there was smoke, it smelled like diesel fumes. It was twelve hours a day of going into a dark set, in a dark environment. Being humid and being wet all day. To psychologically have to do my best to keep the morale going was really difficult. I knew there was an end, so the best I could do was to stay efficient, stay positive, as positive as I could, and keep showing them that the end was close. Sometimes you have those tough situations in making movies. It's great to see Caesar back again, Stanley. I don't know if he'd have lasted long in the sewers. When you've played someone for several years who is so fun, and so flamboyant such as Caesar, and of course then the series comes to an end. Do you actually find yourself missing stepping into those shoes? It was really fun, it was just one of the most enjoyable characters that I've ever played. I looked forward to going back every year. I will miss it, without question. It's not often you get to do something that's so ridiculously theatrical, but within the context of films that are really important. This one's for Josh. A lot of people compare you to Peeta. Do you see any of the comparisons, and have you learnt anything from him? Yeah, for sure. 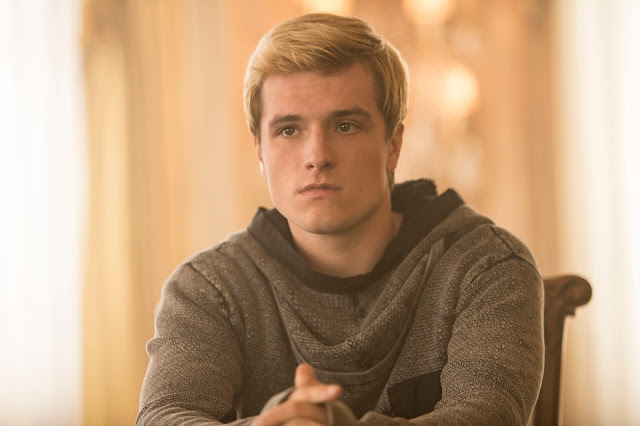 I think one thing that Peeta really believes in, and even to the very end when he gets his mind back, he still believes in, is not becoming a piece in someone else's games, and that sense of wanting to be true to himself and be true to what his own views are, and not fall victim to what's happening around him. I think I definitely subscribe to that. Something that my family kind of always taught me growing up was to think for yourself, and treat people the way you want to be treated. I think Peeta definitely lives within those confines of thinking, and so I connect with that. Obviously, the situation that Peeta is in and the world that he's in is very different than myself, and on top of that Peeta comes from, not a broken family, but not the easiest family life - luckily for me I have a great family. But yeah there's a lot of similiarities. I was very happy for one similarity to die and never come back, and that's the blond hair - that's gone forever. This is for all of the cast. What qualities do you most admire in your characters? 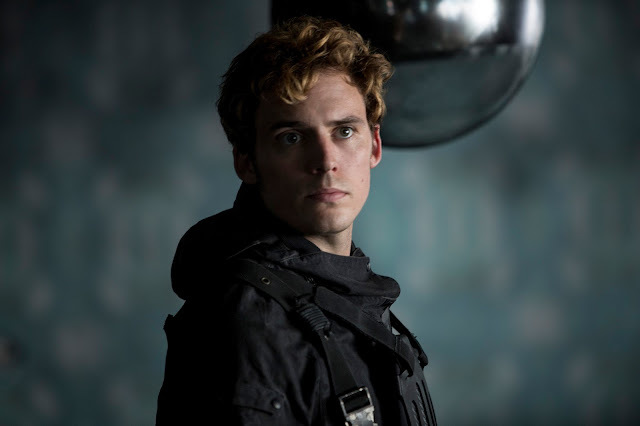 The thing that I certainly related to personally, was sort of the more sensitive, melancholic side of Finnick, which I think a lot of people overlooked when they were first introduced to him. Purely because I think he had a facade, there was a side of him, he put on a face, he put on a mask to basically manipulate the population into loving him. But actually deep down is a man who is a lover not a fighter. He obviously has to fight to survive, as do the entire population of Panem. He's a sensitive soul, I think. He's damaged by the things that have happened in his life. Not that I personally am, but I think that side of him, the fact that he was able to hide it, and hide it so well, is something I admire personally. Simply put, he was always prepared to stand up for what he believed in. That was something I was brought up with. I had great parents that taught me great values - to always respect other people's beliefs and to stand up for what you believe in. That was something that I originally did find with Gale, but through the course of the films, a lot happens, and he loses himself a little bit towards the end, and makes the wrong decisions and goes a little too far with what's right and wrong in the war. That's where you see the disagreement between himself and Katniss. I think I kind of answered that question a little before in my last one, but there's something I didn't remember thinking about until right now, and it's interesting. 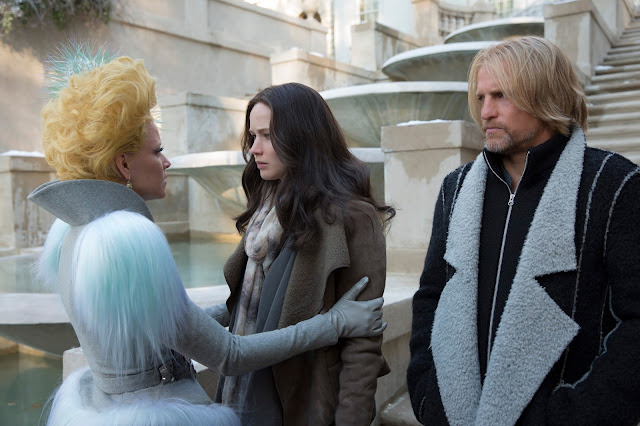 If you look at all three: Gale, Peeta, and Katniss, they all are people that stand for what they believe in and you can't really take that away from them, and they're very resolute in their decisions. I think maybe that comes from them being so oppressed. Once you take everything from someone, all they have left is themselves. So from that, these people come up from District 12, the bottom of the barrel, and they rise up and create a revolution. They've already been taken of everything else, so what else is there to take - they might as well risk it all to enact change. What I share with my character is that I love the people I'm mentoring. Also, I have a zealous belief that something very deep is wrong in our society, in our world, and that we need some kind of, if not a revolution, an evolution. It's very hard to admire anything about Caesar Flickerman, because he's duplicitous, there's no moral centre there. I suppose one thing I admire about him is that he's endlessly entertaining. The cast are kind of renowned for their jokes and banter on set. I know you were talking about your miserable scenes in the sewers, but are there any particular moments from filming that stand out for you for being memorable or funny? I actually have one if I can jump in. This one involves Woody. One night I was at dinner, and you know Woody is a very athletic guy, I will say. I love you man, but he's a little reckless. I remember one time he fell out of a tree and scraped up the entire side of his body. So anyway, at dinner I get texted an image of Woody, with a completely scarred and bloodied side of his face. He had been riding his bike a lot, and had hit gravel and gone down on the side of his face, and we were supposed to shoot the next day. So he was saying 'I don't know, what can we do, what can we do? I've got these scars!'. I just kept saying 'Man, you've gotta go to the hospital, are you alright?'. He was acting a little dizzy, but it was all just a joke. He had had our makeup people come to his house, and spent three hours putting this prosthetic makeup on his face, taking pictures of it to freak me out. He did that to all of us. I was texting with him and I was with a friend of mine, and he'd sent the same photo to me. He was like 'I'm at this hospital man, can you come and pick me up?'. I'm like 'Yeah man, where are you at?'. He told me the name of it, but it was April Fool's day. My friends like 'Are you sure it's not an April Fool's thing? ', and I was like 'Nah man, Woody wouldn't do that. This is real, I know Woody'. But the name he gave us for the hospital didn't exist - 'Where's the hospital? It's not coming up!'. I was walking through Leicester Square a couple of days ago, and saw some fans waiting already. It's not that warm out, it's November. How do you guys feel now that the movies are over? Did you have any idea the impact this was going to have on these kids who were going to sleep out for nights, in London, which isn't that safe? No, I had no idea that it was going to be like this. The books are obviously successful, and we had seen other books that had become movies for young adults that were wildly successful and had crazy fandoms and everything, but I didn't think about that. I don't know if it was my own blinders or something that I was wearing. When I read the books I loved them, when I auditioned for the part there wasn't even a moment when I thought, if I do this, things are going to change. I never thought about that. Jen has said that she took a couple of days to think about if she wanted this, or whatever. It's shocking. The fan support from day one, from before we even filmed the first movie, before the first movie even came out. I remember when we did the first mall tour in the US, before the first film had been released. 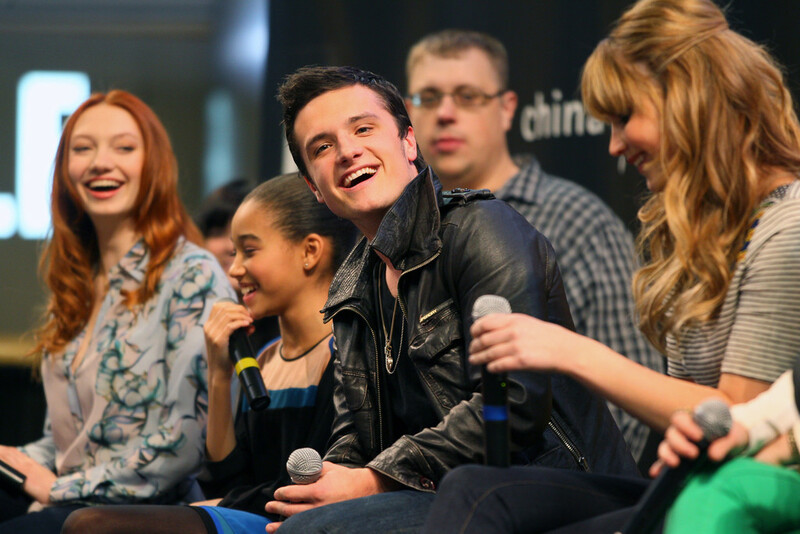 To go to these malls where there were like 10,000 fans, and they hadn't even seen how I'd played Peeta. That was like 'Oh god! What have I done? ', because you don't even know if I'm good in this movie or not and here you are supporting me, that's a lot to live up to. So the fandom has been extremely inspirational, and a huge huge part of this franchise from the beginning. What impact do you want it to have and what do you want the audience to take away from the last film? Well I hope first and foremost that they find it entertaining. We make the movies to be entertaining, and try and make as rich a movie-going experience as possible. I think the big thing that drew us to these movies are the sort of thematic foundations they have, that the stories have that Suzanne created. So for me, if people leave the movie and will think before they enter some kind of conflict, even if the conflict is needed, even if revolution is needed. I think everybody needs to know that there's a cost, there's a consequence, and things and people will change. It's something that you can't tread lightly into. I think for me one thing that has resonated a lot is the disconnect between the government and its people. That's one of the big reasons why Panem got to where it was. There was a separation between the rich and the poor, and the ones who had the money and controlled the government felt as if they could do anything they wanted to the population, and that's what led them to where they are. If you look all over the world, that's happening a lot. There's been more and more money injected into politics, and that's a very dangerous combination. I'm not on a soapbox preaching about all this, but at the same time, there are definitely things that we could all learn from these films in a cautionary way for sure. My question is for Josh. I was just wondering, out of the four movies, which is your favourite and why? Well, it's hard because you know the first movie was the one that started it all, and so that has a special place because that was where we founded a lot of these relationships that we have today. But at the same time, every movie we had more cast added on, so by the end in the fourth, that's when there's the whole big family. So the first and fourth, kind of the bookends, are the ones that mean the most to me. As a spectator, the fourth one I think is just the finale, the conclusion, the point where the water boils over. I think that's really interesting, the places that all the characters have now arrived in are so different than where they started. As a conclusion the fourth film is most enjoyable for me. It was such a fantastic, unforgettable experience - many thanks to all who were involved in arranging the event. And congratulations to Bethany, our competition winner - that last question was hers!